Covering the history, governing institutions, and policies of the European Union, Jonathan Olsen and John McCormick present the EU as one of the world's economic and political superpowers, which has brought far-reaching changes to the lives of Europeans and has helped its member states to take a newly assertive role on the global stage. 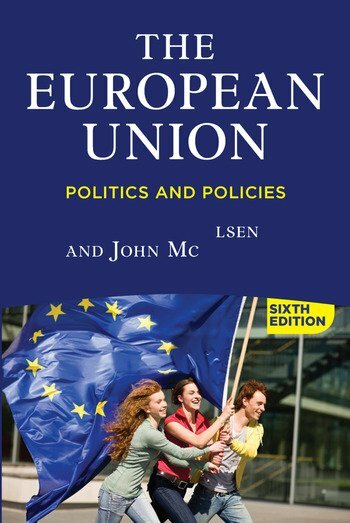 Unlike most other books on the EU, this text pays particular attention to the implications of the EU for the United States. Thoroughly revised, with new photographs and updated tables and figures, the sixth edition of The European Union explains developments that have brought severe challenges to the Union, such as the Greek crisis, the Brexit, tensions with Russia over Ukraine, and new waves of refugees into Europe. Essential reading for students of European politics, this book offers an up-to-the-minute look at both the opportunities and existential threats facing this powerful institution. Jonathan Olsen is professor and chair of the department of history and government at Texas Woman's University. He teaches courses in comparative politics and political theory, with a specialization in German politics and the politics of the European Union. He is a three-time Fulbright Scholar and has had visiting appointments at the University of Munster, Potsdam University, and the European University-Viadrina (Frankfurt-Oder). His books include Nature and Nationalism (Palgrave Macmillan, 1999) and (with Dan Hough and Michael Koss) The Left Party in Contemporary German Politics (Palgrave Macmillan, 2007) and Left Parties in National Governments (Palgrave Macmillan, 2010. )John McCormick is Jean Monnet professor of European Union politics at Indiana University Purdue University Indianapolis (IUPUI). His teaching and research interests lie in comparative politics, with particular interests in the politics of the EU, environmental policy, and transatlantic relations. He spent the first half of 2013 as the Fulbright Chair in EU-US Relations at the College of Europe in Belgium. His other publications include European Union Politics (Palgrave Macmillan, 2nd edition, 2015) and Comparative Government and Politics (Palgrave Macmillan, 10th edition, 2016).